Seven members of the parliament from the opposition have been fined due to alleged offends they made at the latest National Assembly session. The members of the Democratic Party (DS), conservative group “Dveri” and other parties will pay 70,000 dinars (590 euros) in total. 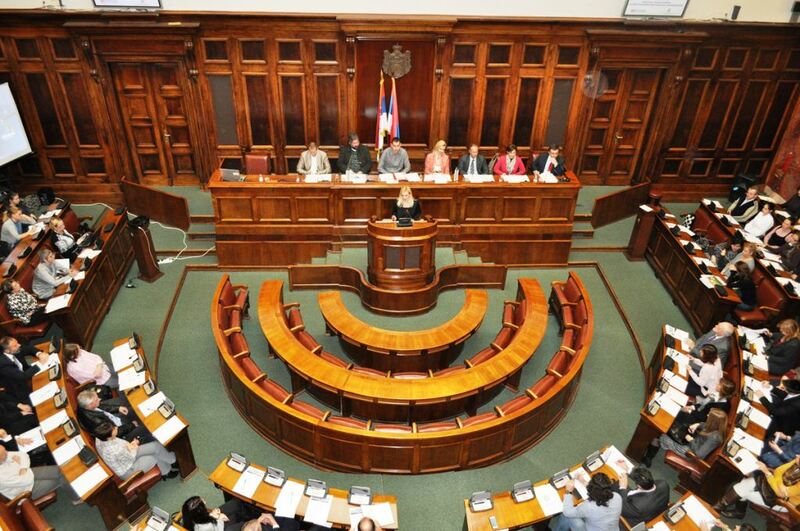 At the same time, the committee which is in charge for administration and budget decided to increase the salaries of the president of the republic, MPs and staff in the parliament by seven percent. The decision will take effect this month. Vojislav Seselj, leader of the far right Serbian Radical Party (SRS) which indirectly supports the government and president Aleksandar Vucic, has not been fined, despite having insulted an opposition MP. When asked how was this possible, Aleksandar Martinovic, president of the committee, said that Seselj did not make the offensive comment using a microphone. Martinovic is a member of the ruling Serbian Progressive Party (SNS). Seselj called DS member of parliament Aleksandra Jerkov an “ustashe whore”. Ustashe were Croatian Nazi collaborators during the Second World War.